Mutual funds are investment models that enable you to pool your money with other investors to buy a collection of assets from the stock market. They offer investors means of diversification which is made possible by the fund pooled from investors. You can learn the nature of a mutual fund from its prospectus. This document spells out the fund’s objective, and it invests in what. Different mutual funds have different investment profiles. Therefore, a new investor may find choosing a mutual fund a challenging task. As an investor, you may already know your investment objective and your investment horizon. But other technical issues like the costs involved may bring confusion. Nevertheless, there is a lot of support available. You can seek the help of a fund manager who has expertise in the stock market arena. You can also get aid from adviser assisted platforms like iFast Global Markets and Fundsupermart. An investor should understand that there are different types of mutual funds. There are money market funds, bond funds, stock funds, and mixed funds. Let’s find out what each comprises. Bond funds: Bond funds are high-risk funds as they tend to give high returns. This fund constitutes many different types of bonds. The risk of every Bond can vary from the other, but generally, they exhibit higher risks than money market funds. Stocks funds/ equity funds: This fund invests in corporate stocks. There are different types of stock funds. There are growth funds whose stocks don’t pay dividends regularly. Also, there are income funds whose stocks pay dividends regularly. You’ll also find index funds which focus on tracking a specific index like Strait Times Index (STI) to replicate its performance. Lastly, we have themed funds which target a certain industrial segment. The objective of your investment will guide you significantly in arriving at the mutual fund of your choice. Different funds cater to different goals. If you are looking to have a long-term investment, an equity fund will serve you best. If you need money within a shorter period like six months, a money market fund will be sufficient. While your objective may seem easy to fulfill, it is essential to consider the performance of a mutual fund. Assessing the performance of a mutual fund can appear quite technical for an average Singapore investor. However, a fund manager is there for such matters. Fund managers use a benchmark index to measure a fund’s performance. Most mutual funds gauge against STI. We at this moment save you the agony of calibrating various mutual funds to establish the best for your investment. We provide a list of best performing mutual funds based on best Net Asset Values (NAVs) during five to ten years. 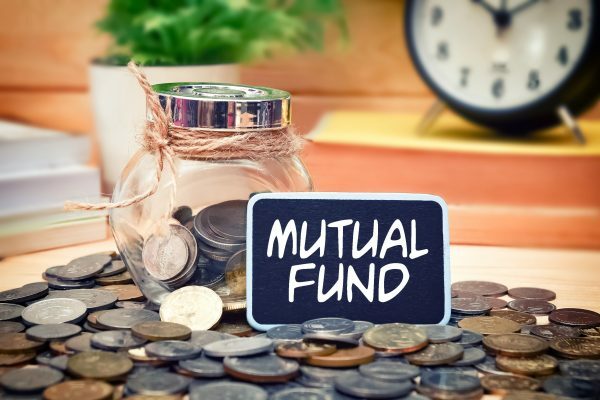 Here are the best performing mutual funds in 2019. Fidelity Global Technology Fund is a long-term investment which invests in equity securities of companies in the line of technology. You need a minimum of $500 to invest in this fund. The fund measures its performance against the MSCI AC World Technology Index. Being an equity fund makes it a high-risk investment. The performance of this fund appears top in the last 10 years, 5 years and 3 years cumulative returns categories. This is according to Philipcapital unit trust report. During these periods, it provided cumulative returns of 522.27%, 172.47%, 87.92% respectively. This fund invests in diversified portfolio of companies that are in the Indian subcontinent. It has been in existence since the early 1990s. Its good returns owe to its low fees which include management fee which currently is at 1.75%. Its additional fees are also high as the trustees’ fees are low at 0.075%. It trades in SGD. This Indian fund tracks MSCI India Index. The First State Regional India Fund was listed among the top performing in the last 10 years and 5 years categories. Its cumulative returns were 389.32% and 104.67% respectively. Therefore, if you have a taste for low-risk, this is your fund. The Janus Henderson Global Technology fund provides investors with long-term capital growth. It invests in a globally diversified equity portfolio of tech-related companies. It aims to take advantage of the market trends internationally and operates with abroad assets allocation. It requires a minimum investment of $1000, and you can purchase in Singapore dollars. The fund involves low fees with its management fees and trustee fees currently at 1.33% and 0.05% respectively. The Morning star rated it 4/5 in terms of consistent returns. It topped in three and five years cumulative returns with 78.56% and 105.01% respectively. The LionGlobal Vietnam Fund facilitates both medium and long-term investments. It invests in companies listed in Vietnam and also others not listed in Vietnam although they operate there or derive part of their income from this country and Indo-china region. This fund may also invest in short-term fixed income commodities listed on recognized markets around the Indo-china region. This fund is highly diversified thus low in risk. You can trade the fund in SGD with an initial investment of $1,000. It top performed in two years, and three years’ cumulative returns of 40.45% and 83% respectively. The UOB United E-commerce Fund provides long-term capital growth and invests primarily in common stocks traded around the world in authorized exchanges. These stocks are mainly involved in E-commerce. The characteristic feature of these funds is that they are high-risk assets. To invest in this fund, you would require a minimum of $1,000 and you can trade it in SGD. The UOB fund continually shows a consistent return. It was top performing in three years’ and five years’ cumulative returns. This performance was 76.65% and 98.51% respectively. The above five mutual funds are worth consideration if Phillip Capital and Morning Star reports are something to go by. Any investor wants to buy credible assets whether investment objective is short-term or long-term. These funds show credibility through their past performance.